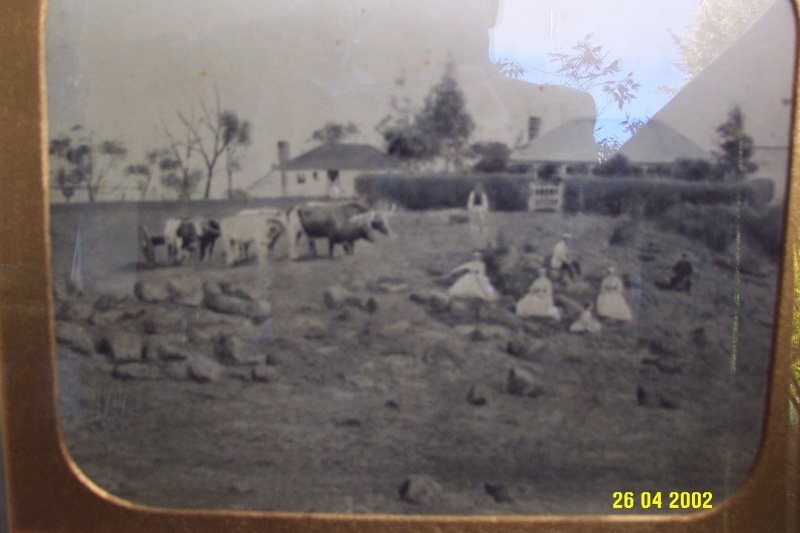 Cheviot Hills was established by David Hutton in the mid-1850s after the closure of the Mount Rouse Aboriginal Protectorate and the settlement of Penshurst. 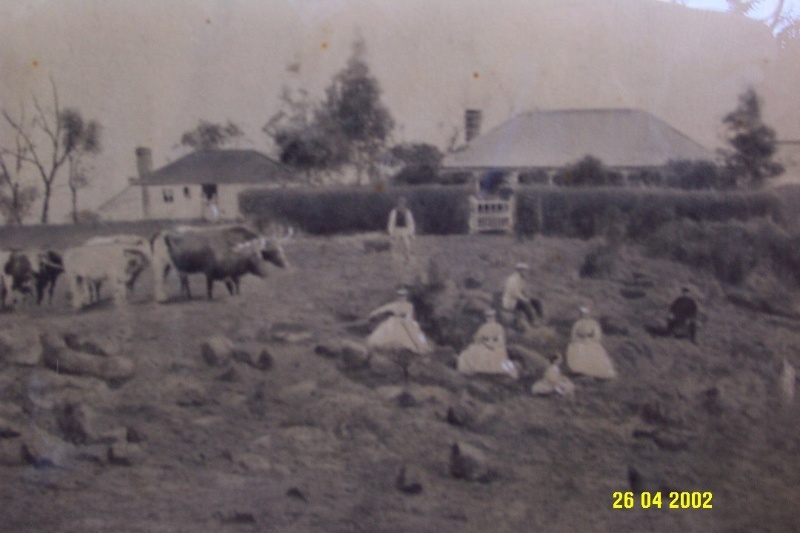 The Hutton family, which still owns Cheviot Hills, were important pastoralists as well as having influential mercantile interests at Port Fairy and through its direct links to the hinterland. Cheviot Hills superseded the earlier Purdeet squatting run and is unusual because it does not stem from a pre-emptive right. The first homestead was built in the centre of the property on a slight rise facing Mount Rouse. This was soon amplified by the construction of a new house, itself later extended. 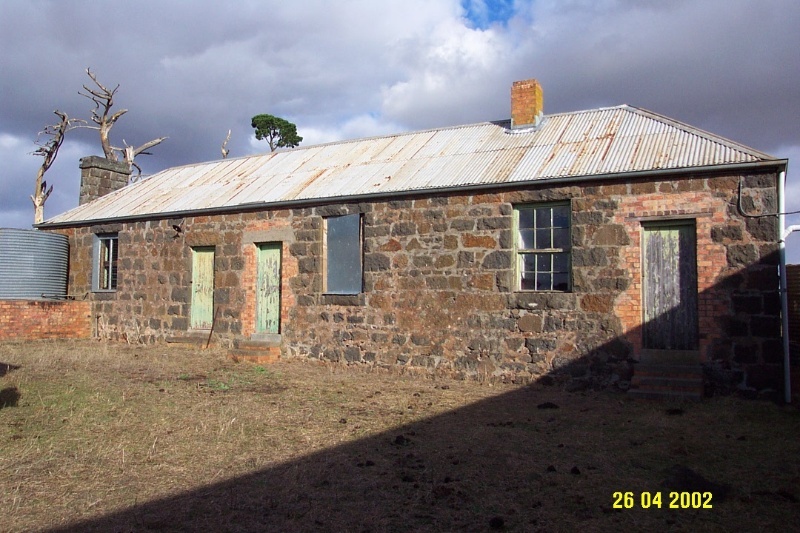 The woolshed (since replaced), men's quarters and other working buildings were built towards the rear. This dwelling was abandoned and is now largely ruinous. Another separate homestead, called Eden, was established on the northern boundary of the property and closer to the town. The architect may have been John Mason of Port Fairy, the father-in-law of Thomas Hutton, its first occupant. This house, its garden and various outbuildings survive as the principal residence although much altered and extended. The houses were both surrounded by compartmentalised gardens and a cultivated park which maximised the landscape's Picturesque potential. These could have been associated with Edward La Trobe Bateman who was responsible for the neighbouring Kolor and The Gums nearby, a property once associated with the Hutton family. The houses were occupied by John Alexander and Thomas Hutton the sons of David Hutton, after his death in 1875, an unusual example of two households on the one property. Both these generations were important members of the community, as have their descendents been. 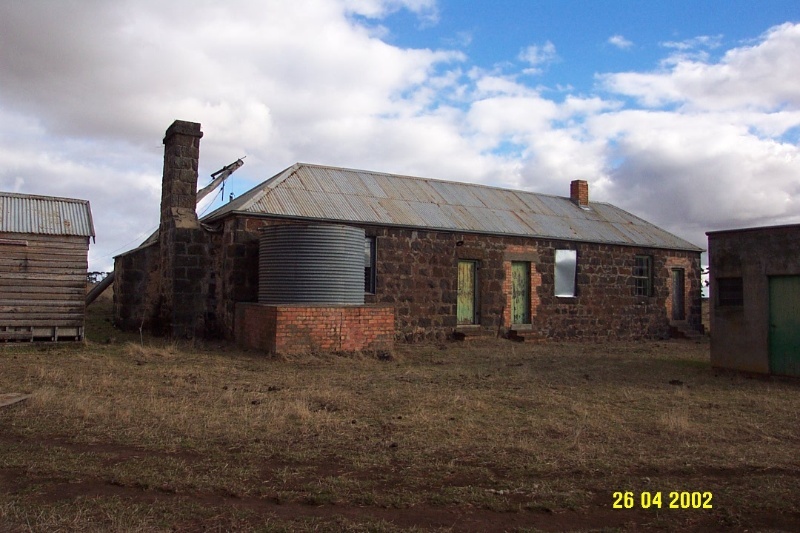 Cheviot Hills homestead is of historical and architectural significance to the community of Penshurst and to the Southern Grampians Shire. 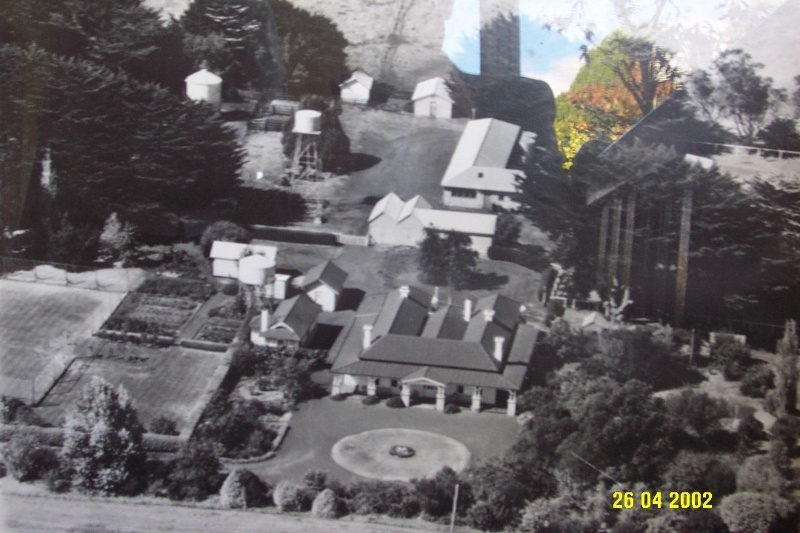 Cheviot Hills Homestead Complex is of historical significance for its continuous occupation by an important family, the Huttons, since its beginning in the early 1850s. 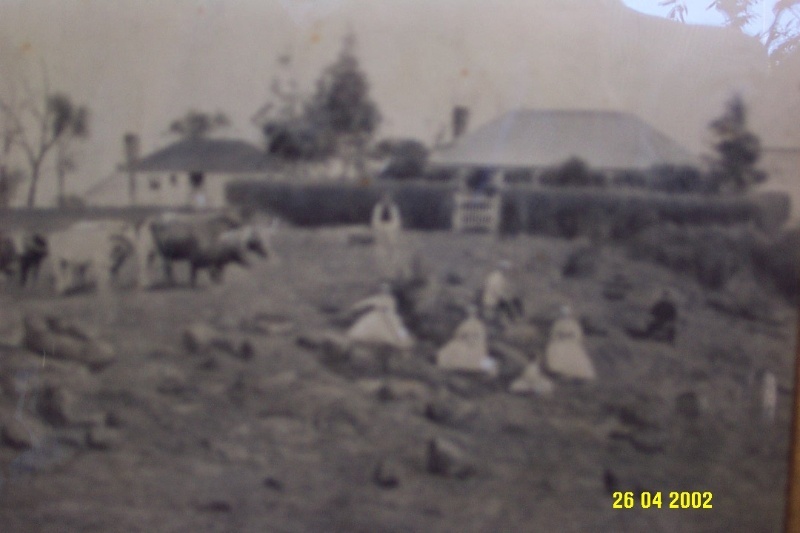 The Huttons were not only successful pastoralists, but had mercantile and other connections with Port Fairy and were community leaders. It is a rare example of two households, occupied by brothers, on one site. The establishment of Cheviot Hills is directly associated with the closure of the Mount Rouse Aboriginal Protectorate. Cheviot Hills is of architectural significance for the sequence of development demonstrated by individual buildings, including both the homesteads, by other works and by the complex generally, for its diversity and for its siting. It is possible that the homesteads were designed by the Port Fairy architect, John Mason, father-in-law of Thomas Hutton. The designed landscape is of particular interest as a sophisticated example of the Picturesque aesthetic. Maintian generally as existing. No development at or around the original homestead site until a preliminary archaeological survey has been done. Prepare a CMP for the whole property. 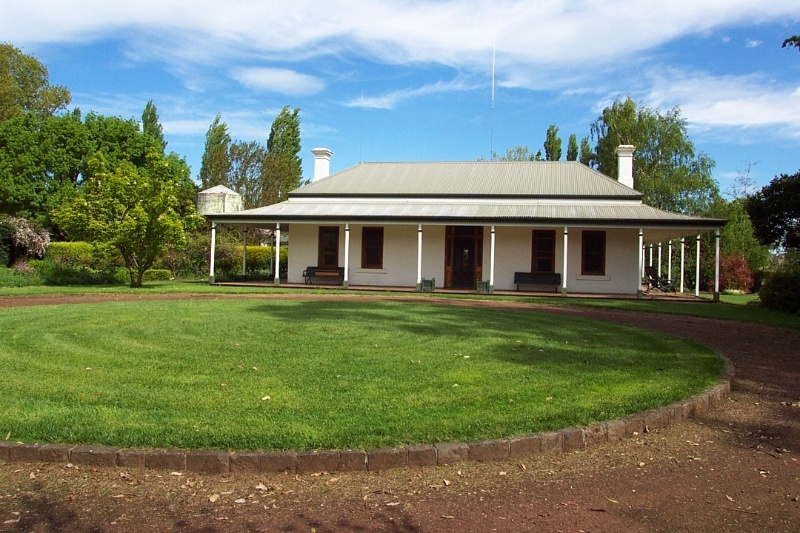 Explore the possibilities that John Mason was the architect of at least the third homestead if not the second and that Edward La Trobe Bateman was associated with the landscaping. 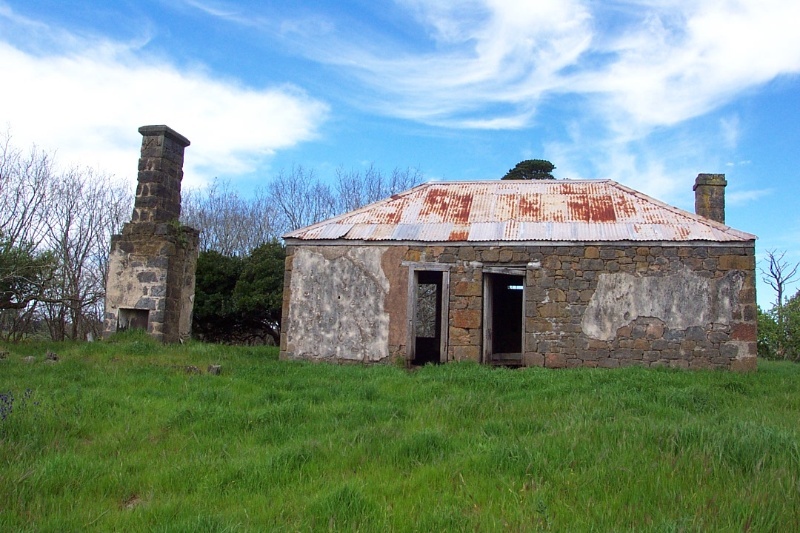 The various buildings survive in a range of conditions, the best being the present homestead, formerly called Eden, with its outbuildings and the worst being the original homestead and its extensions which are ruinous in parts. The men's quarters is in fair condition. The woolshed appears to be modern. Only remnants of the first homestead's garden survive but the second homestead's garden and the broader landscaping survive well. The first homestead was a simple vernacular stone cottage, probably of two rooms. From an early photograph, it had a central front door, windows on either side with square proportions, a massive chimney at the southern end, possibly a timber skillion addition at the southern end and a shallow pitched hipped roof. The front and internal walls have been demolished, the chimney removed and the roof replaced but the form of the building survives. The second homestead, located immediately to the north-east, was built in at least two stages. The earlier part was a two-roomed cottage with the front door opening into the main room. The front door is partly glazed with three panes in each of the two upper panels. There is a small rectangular fanlight above the door. The main room is simply detailed but finer than might be expected. It has a chimney at the southern end and deep arched niches on either side of the chimney breast. The mantel has been removed. The ceiling is coved slightly to accommodate the roof and, although unnecessary, this continues along the internal wall and across the chimney breast. Remnants of early interior decoration survive. A door leads into the smaller room. Both rooms have doorways opening to the rear and both had relatively large windows, almost certainly 12 paned double hung sashes. The smaller room also has a square, high level opening in the northern wall. This may have given access to a passage because beyond there is a stone chimney breast with ruinous footings between it and the cottage. On the rear or western wall of the cottage there is render and plaster, again indicating an extension behind the cottage to the west. Other physical evidence, such as the detailing of the rear doorways as internal, indicates substantial structures but it is impossible to say, without further research, what they were like exactly or if they were built in one or more stages. Well to the north west of the cottage are the stone men's quarters. These are the usual long rectangle in plan with a large chimney for cooking at the eastern end. Two of the three doors are framed in red brick, suggesting that they are later alterations. The windows are 12 paned double hung sashes. 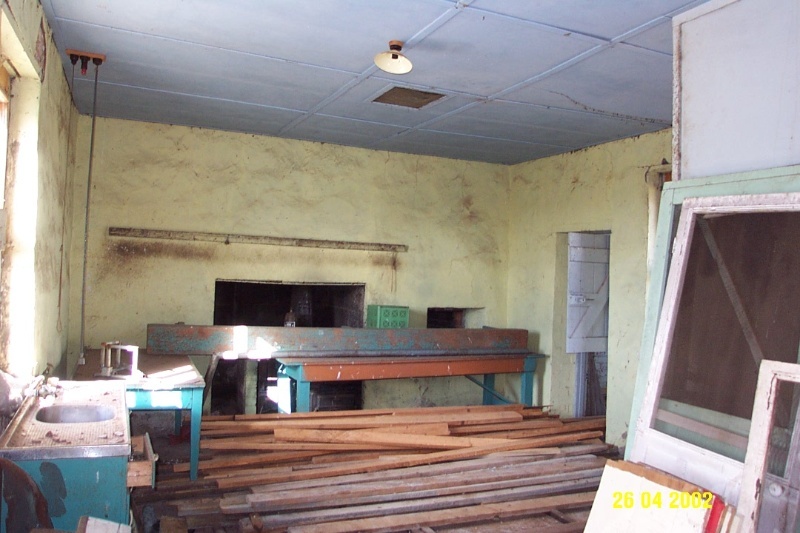 The hipped roof is corrugated iron. The interiors have had a basic modernisation and a later twentieth century cream brick chimney has been introduced between the middle and western rooms. 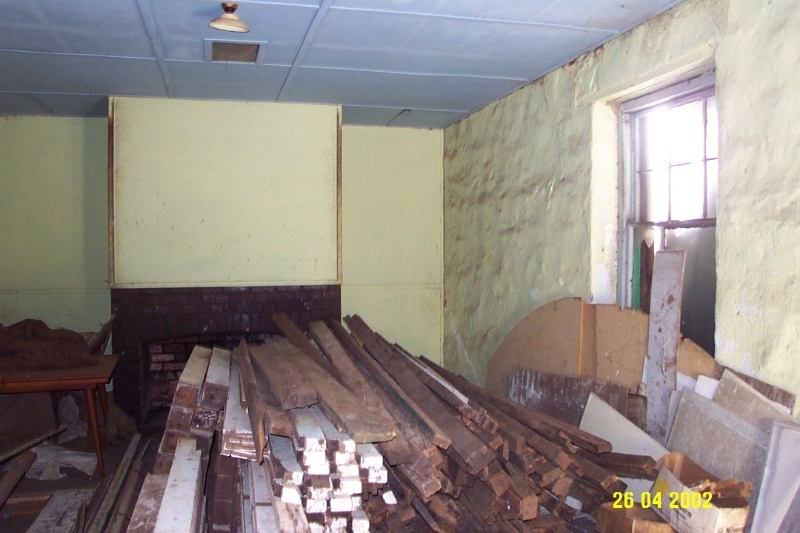 Other timber outbuildings survive nearby in very poor condition. 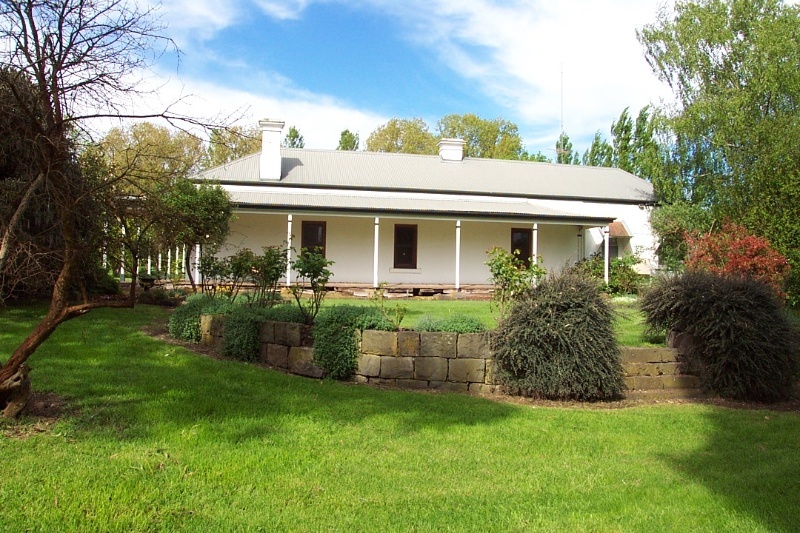 The later homestead, formerly called "Eden", is a single storey stone house with a verandah on three sides. The house is symmetrical about the front door, conventional with its sidelights and fanlight, and having pairs of windows on either side. The verandah has been changed twice from its original, once in the early twentieth century when piers replaced posts and a pedimented porch was introduced, and then in the later twentieth century when it was generally returned to its former appearance. The chimneys for the front rooms are in the side walls. The house has three original wings, the two service wings forming a courtyard since built in about 1900. The interiors are much altered from their original condition but the house retains its nineteenth century scale, form and plan. 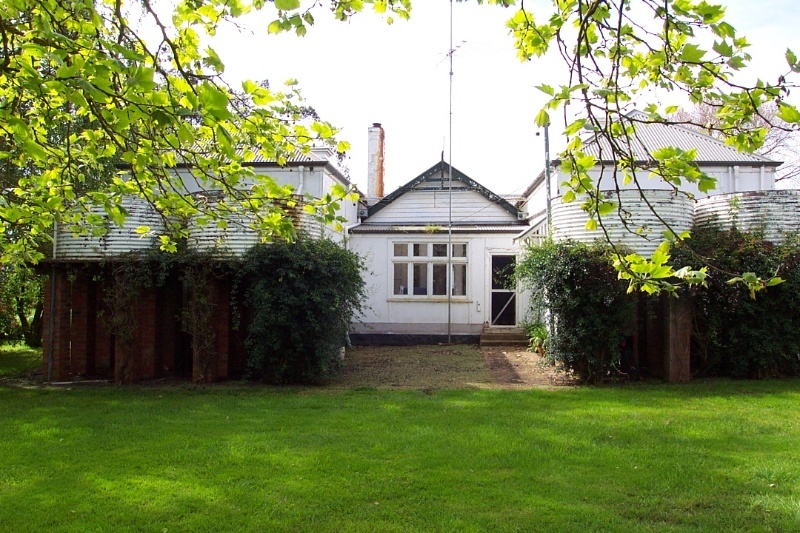 There are several domestic outbuilding to the side and rear of the house. These include staff quarters, stables and coachhouse, a motor garage, etc. There is an extensive mature garden including large trees, an orchard and a former vegetable garden. 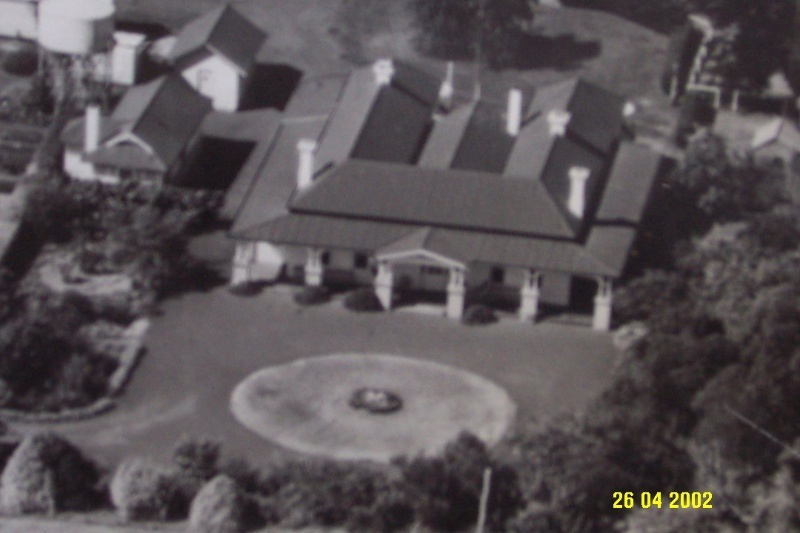 The circular drive and lawn in front of the house appears to have survived from the earliest times. The whole of the Cheviot Hills property appears to have been landscaped according to the Picturesque aesthetic. The first homestead was sited on the edge of the lava flow from Mount Rouse and close to a permanent spring which created a small lake. This was planted out as a pinetum, with many of the trees surviving. It faced towards the volcano of Mount Rouse and, across the lake, enjoyed a diagonal view towards Mount Sturgeon and Mount Abrupt in the Grampians range. To the rear, again on the perpendicular axis, is Mount Napier but there is no evidence that this prospect was employed in the design although it may have been. 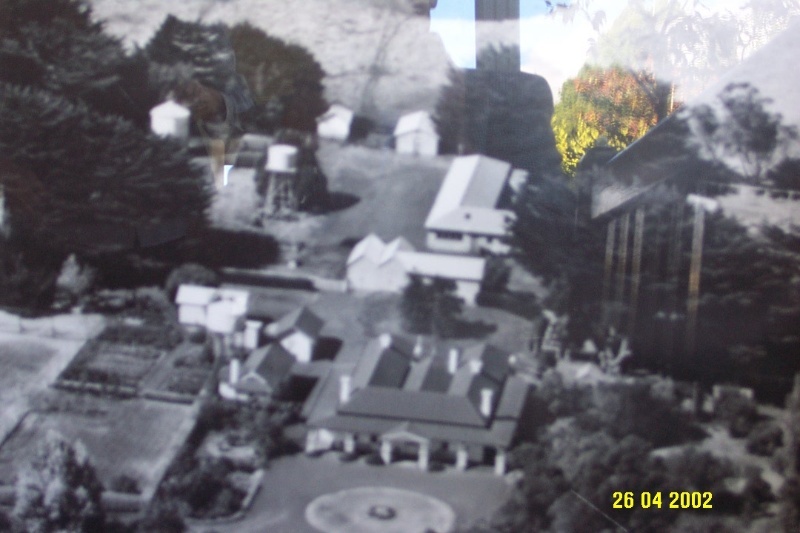 An early photograph shows a well developed garden around the second stage of the first homestead and a substantial hedge. The gate in the hedge would have aligned with the axis towards Mount Rouse. (Members of the household disport themselves artfully on the rocky slope facing the photographer and Mount Rouse while a child looks across the lake, out of the frame, towards the Grampians. There is also a bullock dray with six beasts pulled up.) Almost nothing survives of the early garden, hedge and gate which appear in the old photograph. The second homestead, called "Eden", which faces due north was also surrounded by a garden of several compartments. 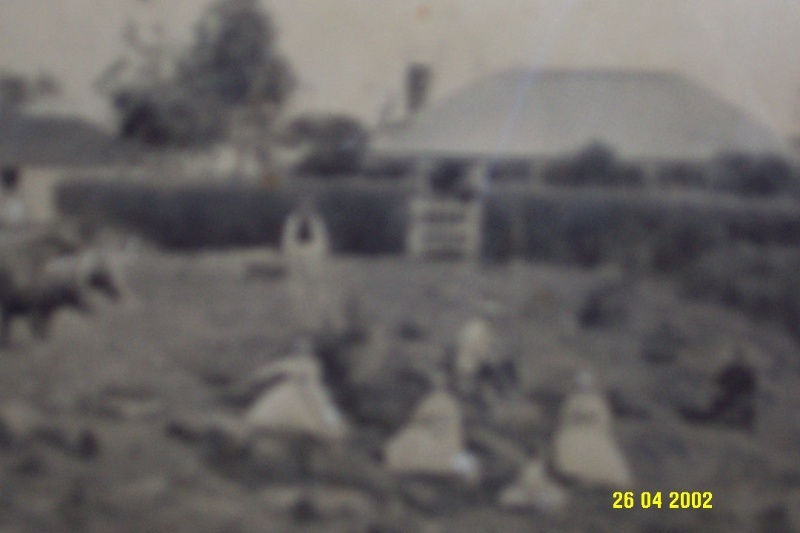 An early twentieth century photograph shows what the garden was probably like in the late nineteenth century. There is an extensive paved area in front of the house with a circular bed on axis with the front door and a drive down the east side. Further to the east are areas for growing vegetables, flowers and fruit. The service yard is at the rear and the west side is heavily timbered. There is no indication that the prospect towards the Grampians in the north was taken advantage of, but it may have been. Much of the structure and some major plantings survive. Beyond the homesteads, the landscape was improved by the planting of groves of pines on rocky outcrops. It was further linked by stonewalls in various directions. Although in poor condition, these features can still be read as an improved ;landscape. !st Homestead is much altered after its conversion to a barn. 3rd homestead is much altered but retains a full complement of outbuildings and a garden.